Citizens Advice is the UK's largest charity. They maintain a continuous training program to recruit and train 28,500 volunteers and staff. Helped them manage all training throughout their entire network and beyond. Before implementation, all training was recorded on spreadsheets and internal systems, and all communications were undertaken via email. In short, all processes were time-consuming and labour-intensive. There was no way to thoroughly assess training statistics and data. Citizens Advice required a training management system that could manage courses and internal events for 28,500 staff across 600 locations. A reduction in errors and duplication, and the introduction of online course booking was critical. In addition, it was necessary to provide commercial training for the voluntary and charity sectors. Now, Citizens Advice possess clear visibility over all courses booked, completed, and available. Courses can be directly booked, rather than processed by head office. Training supervisors also gained a clear overview of each learner's records, status and progress. 'A training management system which could support our fairly complex internal training requirements and help drive our commercial business aspirations was a fairly big ask. accessplanit was one of the only systems on the market with the functionality we needed. 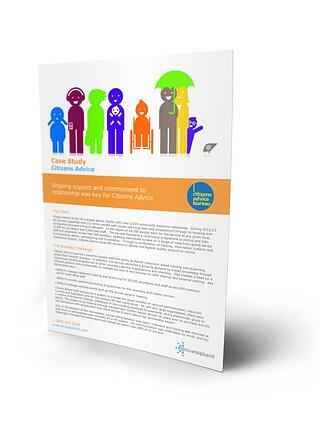 Get your free case study today, and explore how we cut Citizen's Advice admin time by 50%.